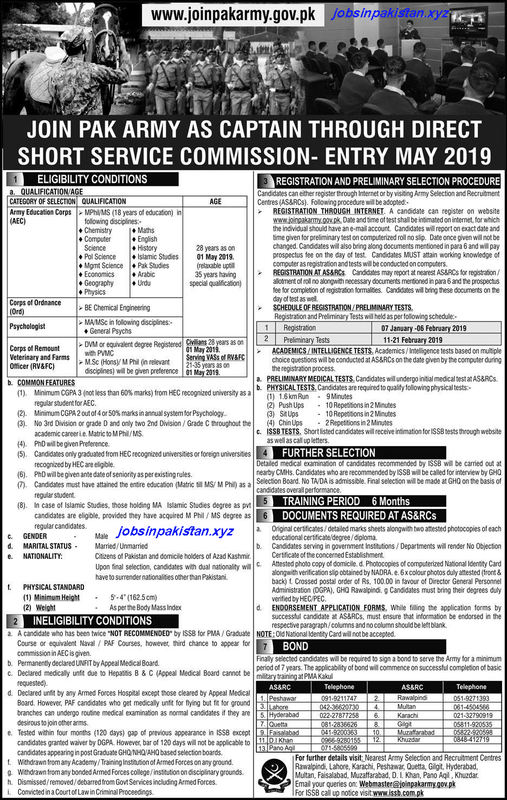 Jobs Description: Join Pak Army As Captain in 2019 through Direct Short Service Commission. Pakistan Army recently announced an advertisement for Jobs of Captains. How To Apply: The interested candidates may register their self through Pakistan Army official site or by visiting nearest Army Selection and Recruitment Centre.